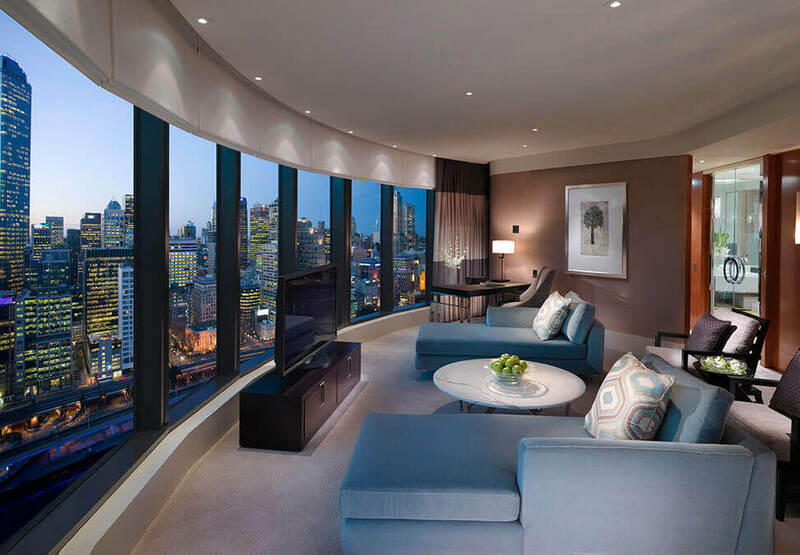 The Premier Suite offers 70sqm of unparalleled luxury, enhanced by floor to ceiling windows delivering 180 degree panoramic views of the Melbourne skyline or picturesque Port Phillip Bay. 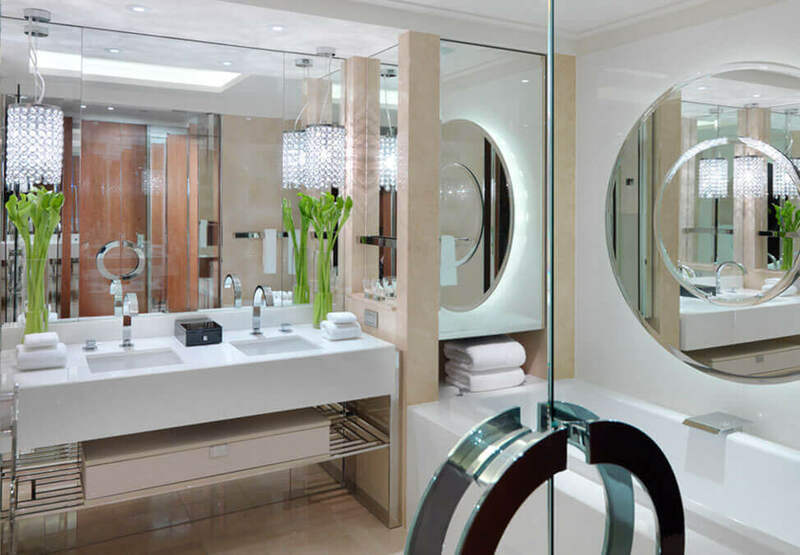 The Premier Suite boasts a separate lounge area, a stunning bathroom with double vanities and deep soaking bath with separate shower and walk-in dressing room. It also features the latest Video on Demand interactive system, iPod docking station and an in-built technology wall panel. Located on Level 19 to 28, Premier Club Suite guests have complimentary access to our Crystal Club Lounge. In this private sanctuary, guests can enjoy personalised check-in with uncompromising services of the exclusive Crystal Club lounge including breakfast, afternoon tea and evening pre-dinner drinks and canapés. *Only guests staying in a Premier Club Suite have access to Crystal Club. Experience unparalleled luxury accommodation like never before in a stunning One Bedroom Crown Towers Villa.